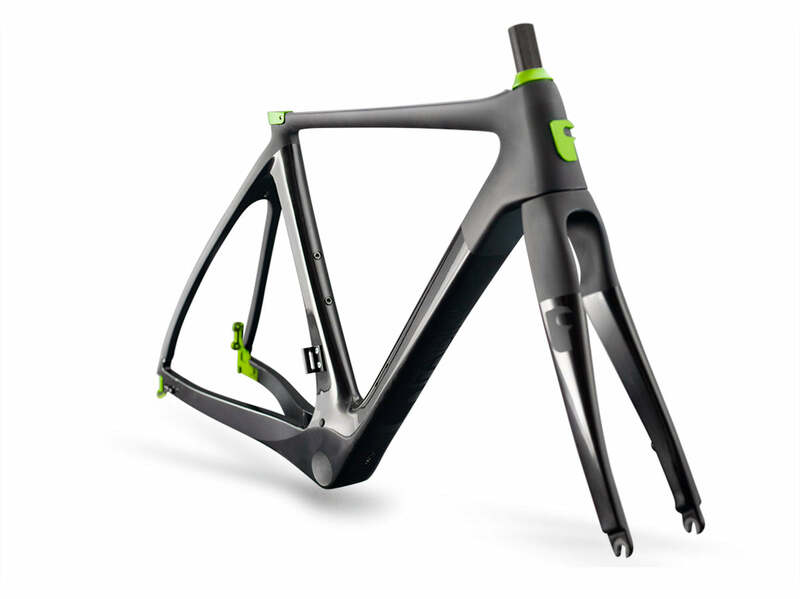 Discover the unique features of our carbon fibre frame set. The FABIKE dropouts have been redesigned in an all-new way. This innovation allows you to switch from 120mm to 131/135mm rear-hub spacing (with or without disc brake). Our dropouts also utilise a sliding vertical insertion, should you decide to use your bike as a single-speed. Horizontal movement is regulated and restricted by a micro-adjustment which ensures a constant and stable tensioning. Last but not least, the FABIKE dropouts are also belt-drive ready. The FABIKE fork, chain-stay and seat-stay are designed as a bridge between a road bike and a cyclocross bike. At first glance, it can be difficult to spot the differences between the FABIKE and a standard road bike, both in terms of look, and weight. A closer inspection reveals that the FABIKE frame set is able to welcome a much larger tire than a standard road bike, up to a maximum size of 700x35mm. 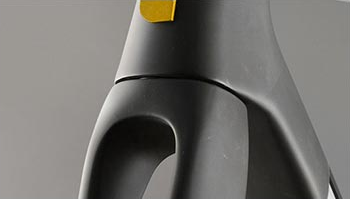 The FABIKE frame features fully-internal cable routing. 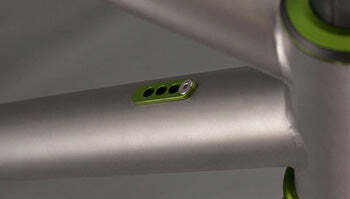 This means that even in the bottom bracket area, the cables always stay inside the frame. This is more than just an aesthetic choice, as the cables will be protected from the elements, allowing the bike to perform better in all conditions. 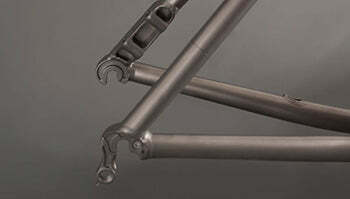 Have a look at the very special technical details of our titanium frame sets. The FABIKE T1R and T1X use an over-sized bottom bracket tube with an internal diameter of 55mm. This choice provides the rider a few advantages. 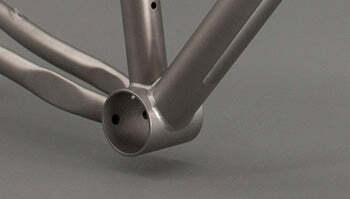 First off, the bigger cross section means better stiffness in the critical bottom bracket area. 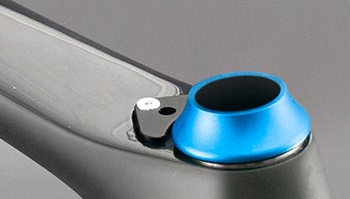 Second, this design choice makes it possible to use an eccentric BB while maintaining fully-internal cable routing. The seat-stays of the FABIKE T1R and T1X have been designed to welcome both a belt drive system, and the new Shimano Flat Mount standard for disc brakes. Additionally, the right side dropout has a replaceable derailleur hanger, so that it can be removed in case of a single speed or internal gear hub configuration. 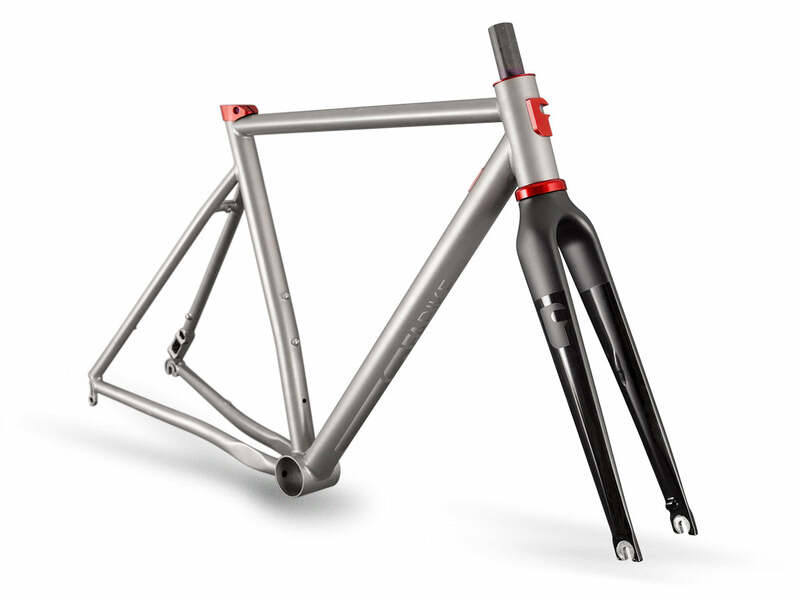 Both Ti frames are able to accommodate fenders. 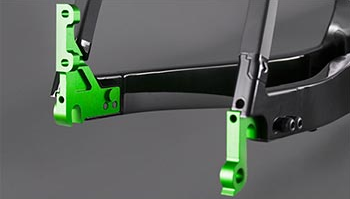 The FABIKE Ti frames feature fully-internal cable routing. This means that even in the bottom bracket area, the cables always stay inside the frame. This is more than just an aesthetic choice, as the cables will be protected from the elements, allowing the bike to perform better in all conditions.